Growing up in Southern California, Susan Richman actually enjoyed her share of chores in the family’s garden and orchard which provided garlic to an Italian chef and kumquats to the Asian fresh market both in downtown San Diego, CA. But her real love was horses. She graduated with a degree in animal science from University of California-Davis with an emphasis in equine studies. Although life intervened, the desire for her own farm finally led to the right piece of ground. Two years into the search throughout the Willamette Valley, Susan’s realtor urged her to check out a parcel with 170 acres in Willamina. She was not sure the emotions she felt were real when she got there; it seemed too perfect. After the third visit, Belle Mare Farm became home. With a deep passion for the power of small farms and a strong concern for our future, Susan developed a plan combining yesterday’s practices with today’s science to re-create a thriving, diverse farm. That way, everything produced on Belle Mare Farm maintains the highest standards of ethical, safe, and nutritious food. The wheat straw in the photo was from the farm’s first crop of hard red wheat and will be used in the strawbale home on the farm. The fields at Belle Mare Farm are used in rotation, growing grain for two years, before seeding custom pasture, which includes herbs and forbs for the health of the grass fed beef and sheep. With intense rotation, chicken tractors and/or harrowing by draft power the animals’ manure amends the soil, enriching it for the next cycle of crop growth. In addition, to better control what her animals eat, Susan prepares a custom feed mix from the grain grown on the farm. Neighboring farmers have begun to request custom blends so this has grown into a part of her farm business. Belle Mare Farm will provide seed cleaning soon, eliminating all but the seed of choice for a farmer who gathers seed from a harvest for the next year’s use. Susan also felt strongly that much of the farm work could be done using pre-industrial techniques. 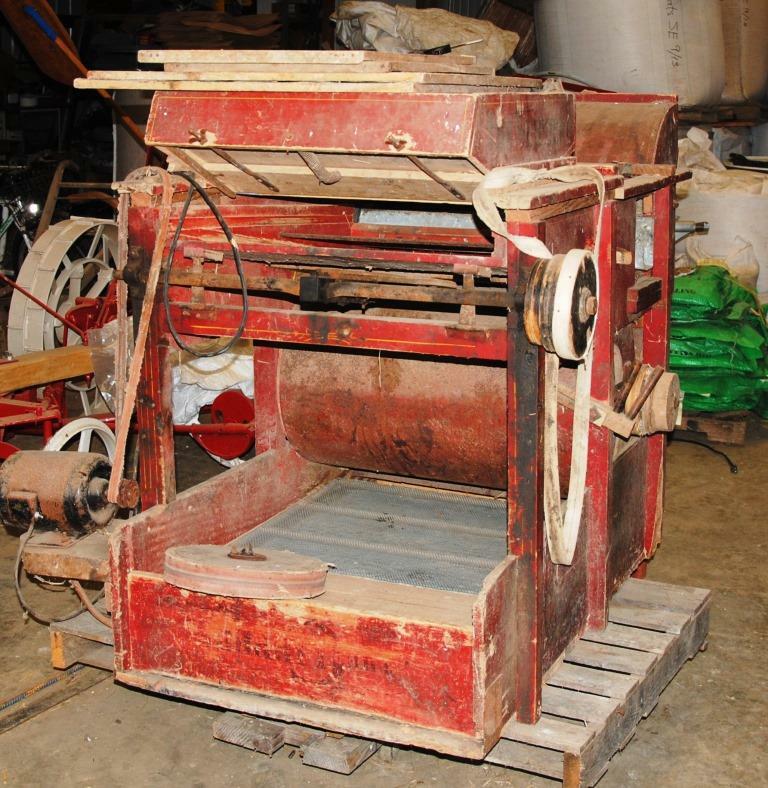 In other words, although Belle Mare Farm equipment includes a tractor, much of the time the team of rare Suffolk Punch horses is used to plow and harvest. Below is Clara, a Belgian/Clyde mare, and Amos, a Suffolk Punch gelding plowing the trial field last spring. Belle Mare Farm currently has a pregnant Angus cow as well as her yearling. 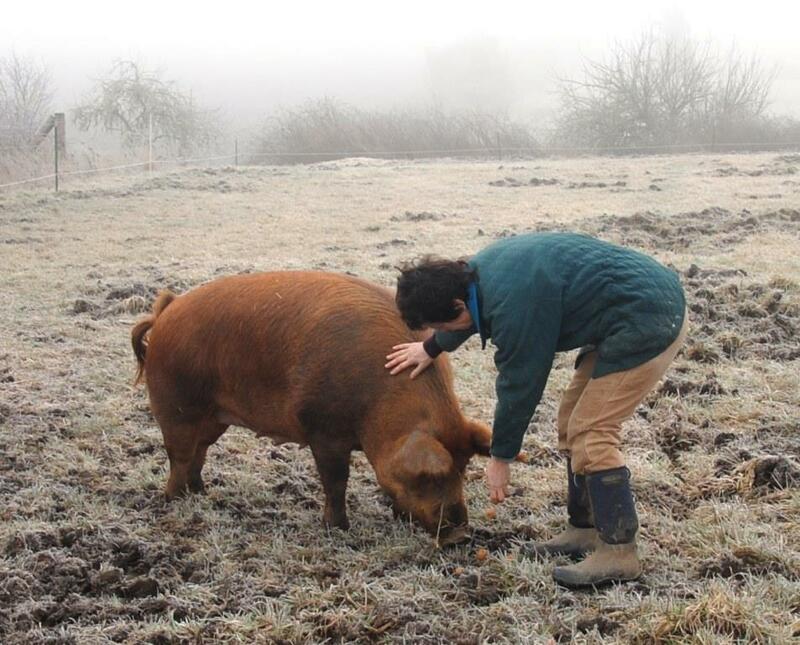 In addition there is a Tamworth-Large Black sow, Lilla, and 4 maturing hogs from her first litter. 1/2 hog is still available for sale. Two flocks of chickens present plenty of eggs and manure-parasite patrol. 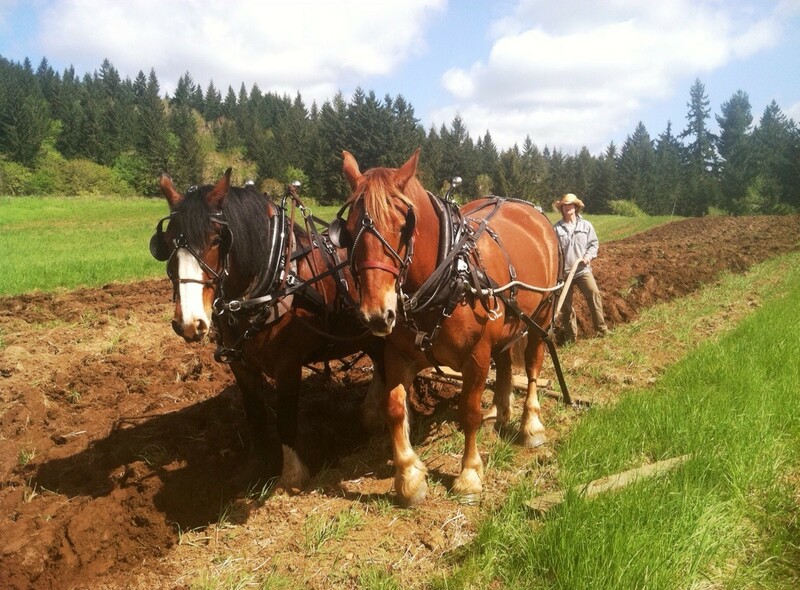 Vegetables are grown in the kitchen garden with a little extra for sale and Susan is active in Willamina’s plan for a second farmers’ market season beginning June 21st, 2014. Belle Mare Farm will host an educational program to help other farmers learn non-mechanical ways to farm productively and to log small-scale. 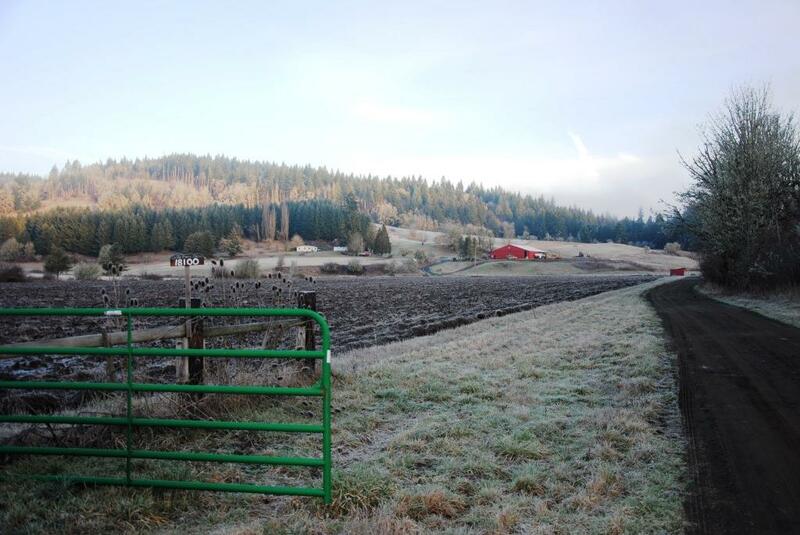 In March a seminar sponsored through the North Willamette Women Farmer Network will offer chainsaw use and safety at Belle Mare Farm along with drip irrigation at neighboring Mama Tee’s Farmstead. 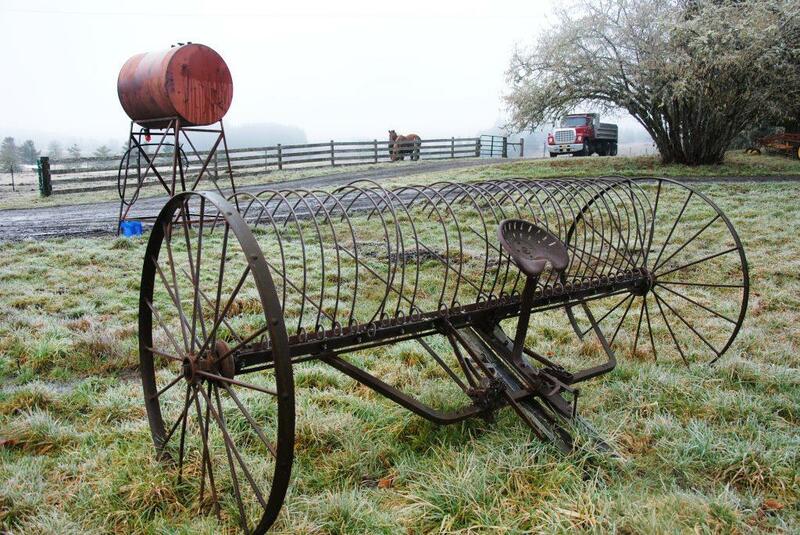 During harvest, a farm open house is planned to demonstrate the All Crop Combine powered by horses. Susan has a lot of other ideas for Belle Mare Farm, but she already has accomplished quite a bit in the 2 years she has lived on the farm. This entry was posted in barn, beef, chicken, farm, heritage breed, land use, Local food, local food stystem and tagged beef, chicken, farm, heritage breed, local economy, local farms, Local Food, Oregon, plow, pork, Willamette Valley, Yamhill County. Bookmark the permalink. How long has belle mare been in operation under this ownership? Only a couple of years. She is still in the building process but has a goal and is working hard to achieve it.